We proudly serve Kansas City MO, KCK, Shawnee, Mission, Fairway, Westwood, North Kansas City, Downtown Kansas City, Midtown Kansas City, and more. 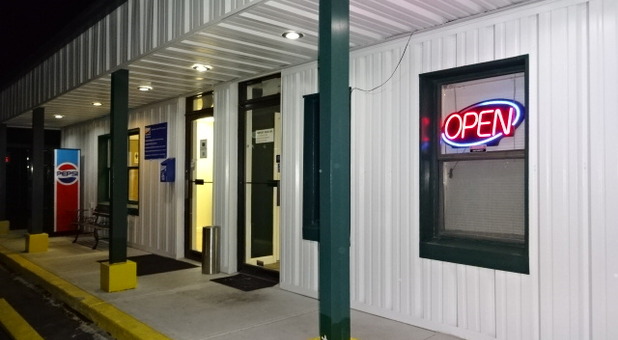 We're located on Merriam Lane near the famous Woodyard Bar-B-Que and down the road from the Boulevard Drive-In Theatre. We're less than 10 minutes from downtown Kansas City, MO and downtown Kansas City, KS. 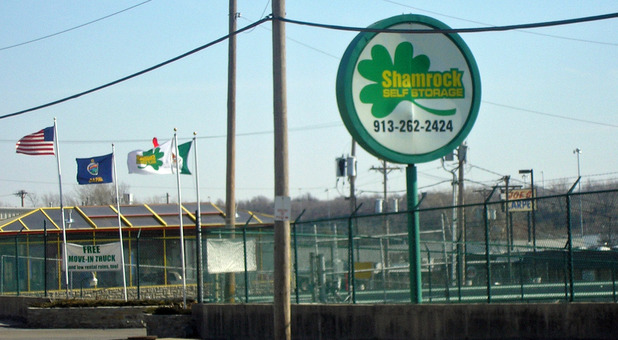 When it comes to choosing a storage facility in the Kansas City area, Shamrock Self Storage is the best option for you. We have been in business for more than 30 years. 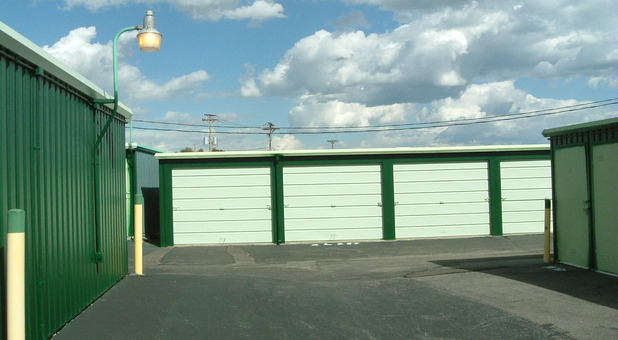 Not only do we offer first-rate storage amenities, but we also guarantee unmatched customer service. We provide our customers with a wide range of conveniences including online bill pay, drive-up access, and onsite packing and moving materials. Other features include 24-hour video surveillance, truck rental, and Spanish-speaking staff members. 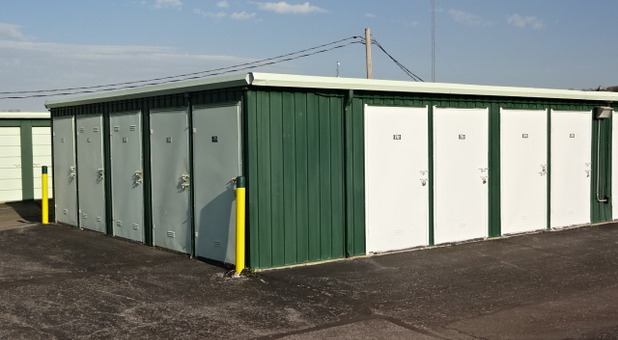 Contact us today and ask about our monthly storage specials; we look forward to assisting you! Shamrock Self Storage is on the left. Take exit 2T for I-35 S toward Wichita. Keep left at the fork to merge onto I-35 S.
Take exit 232A toward Lamar Ave. Turn right onto S 24th St. Turn left onto Merriam Ln. 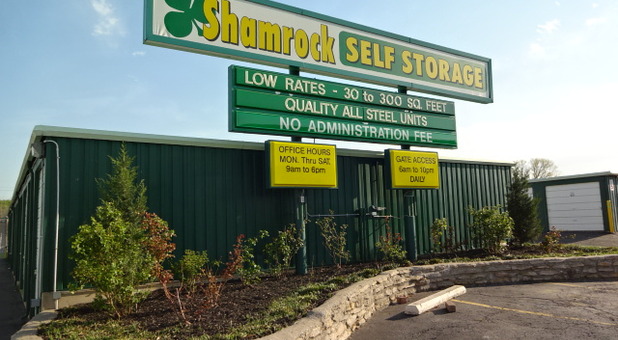 Shamrock Self Storage is on the right. Take exit onto I-35 S.
Take exit on left to I-635 N.
Take exit 1B for Merriam Dr toward Merriam Ln. Excellent Service! Would definitely recommend to friends and family! We have always had an excellent experience with Shamrock staff. We are return customers because the staff is always friendly, and the makes the process of getting a storage unit very smooth and easy. They have the most reasonable prices in town and the best service, which is win win if you ask me! I would definitely recommend to all my friends and family! Able was awesome to work with - not only did I get a storage unit I also rented a moving truck - best service ever - everyone there is very polite and pleasant to work with, including the owner. 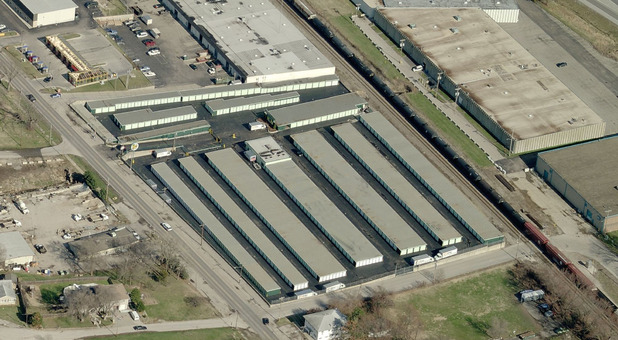 I recommend this storage facility & moving trucks to anyone moving or just need storage. You cannot ask for any better people to work with - very honest!!!!!!! The management is professional and friendly, I really appreciate Abel taking the time to explain how everything works. Units are clean and safe. 50% Off First Month on select sizes.